Whether it’s for corrective or cosmetic purposes, your eyeglass frames say a lot about your tastes and preferences. One way to make sure your eyeglass frames reflect your personality is to be aware of the most common frame materials and their most important and unique features are. There are different compositions of plastic that perform well as eyeglass frames. There are zyl frames, which are extremely lightweight yet cost-effective. There’s also a nylon-based plastic called cellulose acetate propionate, which is also lightweight but has a higher level of gloss and transparency compared to other plastics. Nylon prototypes weren’t as durable and lightweight as their modern counterparts. Today, however, blended nylon is used mainly for sports and performance frames. Nylon eyeglasses can withstand the cold and the heat. They can also be produced in wraparound styles and other complex shapes. If you engage in sports or any high-performance activities regularly, you should consult your eye doctor regarding the best frame style for you. Metal frames can make almost anyone look more sophisticated. Metal eyeglasses are best suited to wear in professional environments such as your workplace or to an important business meeting. There are a variety of metals to choose from, including monel, titanium, beryllium, aluminum and stainless steel. Metal frames are known for being lightweight yet durable. There are also hypoallergenic options for those with sensitive skin. Note that gold-plated frames are more commonly used than solid gold eyeglass frames. They can be used to accent plastic or metal frames. Gold-plated frames are a luxurious eyeglass option that will surely make you stand out, as long as you can make peace with the fact that they aren’t the most comfortable eyeglasses to wear. Wooden frames are a one-of-a-kind frame material. You can choose from different wood species. While they are stiffer than standard frame materials, wooden frames are extremely appealing due to their unique look. Ready for your new frames? 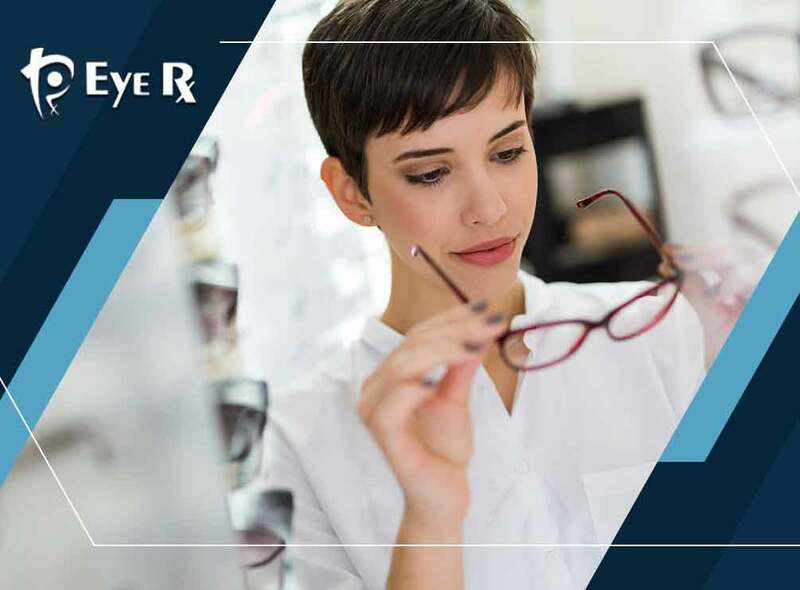 Turn to Eye Rx for stylish yet functional eyeglass frame options. We also conduct eye exams. You may call us at (301) 761-3814. We work with patients in Chevy Chase, MD.